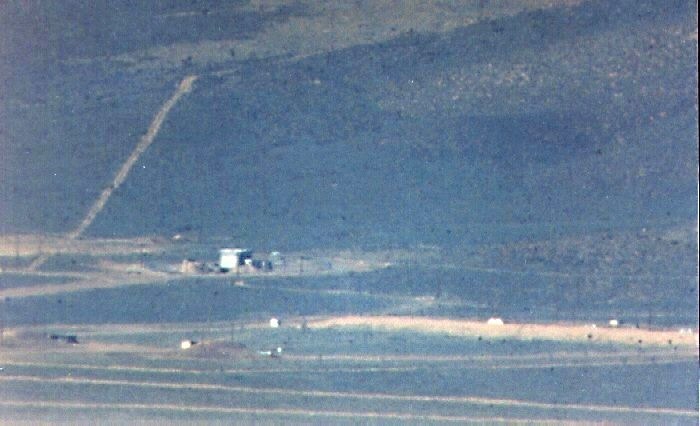 The area in the foreground, with several small buildings, is the Explosives Storage area, located in the far south of the base. It is used for storage of explosive ordnance such as missiles, ammo, bombs and anything that is integrated into the test aircraft, such as the F-117 weapon trials that were conducted over the ranges before they moved to TTR. The large building in the background is another Engine Test Cell.